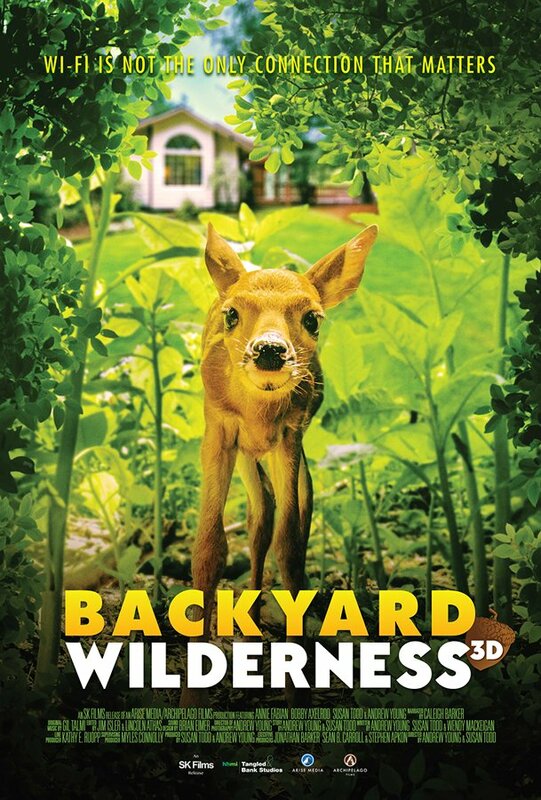 Backyard Wilderness will surprise and entertain viewers with the unexpected wonders of nature that are right under our noses-in our own backyards. Spanning a seasonal year around a suburban home, the film displays a stunning array of unique wildlife images and behavior-all captured by cameras mounted inside dens and nests, and moving along the forest floor and pond bottom, to reveal its inhabitants in rare and breathtaking intimacy. We follow Katie, a young girl, and her modern family living next to the woods that are blind to the real-life spectacle around them, absorbed by an array of electronic devices in their busy lives. Katie gradually discovers the intricate secrets that nature has hidden so close to her front door and we experience the joy she finds in her interactions with this new world. The film reminds us that Wi-Fi is not the only connection that matters and that sometimes in ordinary places, you can uncover extraordinary things that could transform you forever–you just need to step outside.